We are grateful for the hard work of so many over the weekend, including our elected officials, to help secure the release of our student’s wife detained in New York. Our focus is, and always will be, the safety and well-being of our students and the Ohio State community. We continue to be focused on providing resources and working actively and quickly to help any other member of our community who might still be affected by this policy change. We are committed to protecting the information of all of our students, regardless of immigration status. The university’s established and consistently applied policies hold that we do not release personal data to third parties except as required by law. 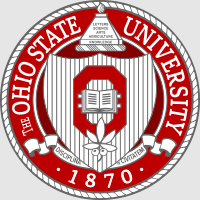 We admit students without regard to race, religion, national origin or immigration status, and undocumented students are entitled to all of the rights and privileges of other students at Ohio State. Ohio State remains engaged on this important issue with elected officials and national higher education organizations. While we acknowledge the importance of appropriate visa standards, we are very concerned about the broad implications of this new executive order. Our Office of International Affairs is available to support and assist the university community with related questions and concerns. If you are a citizen of any of the seven countries affected by the executive order, we strongly caution against travel outside of the United States at this time. Please seek the advice of an experienced immigration attorney if you are considering such travel. Resources are available here or by contacting our Immigration Coordinators at iss@osu.edu. As always, students can contact the Office of Student Life's Counseling and Consultation Service or the Student Advocacy Center for additional support. Finally, I want to affirm the university's unwavering commitment to diversity and inclusion and the value that members of the international community continue to bring to our pursuit and sharing of knowledge. We will honor our obligation to create an environment that inspires discovery and knowledge, values and celebrates diverse opinions and is welcoming to all — now and for generations to follow.